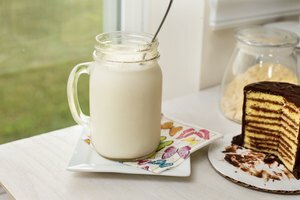 Despite the versatility of the almighty soybean, milk made from it doesn't hold up well to heat. 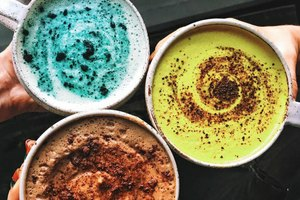 Soy milk curdles at around 110 degrees Fahrenheit, and don't even think about stirring it into a cup of hot coffee -- acidity plus heat leaves islands of tofu floating in your brew. 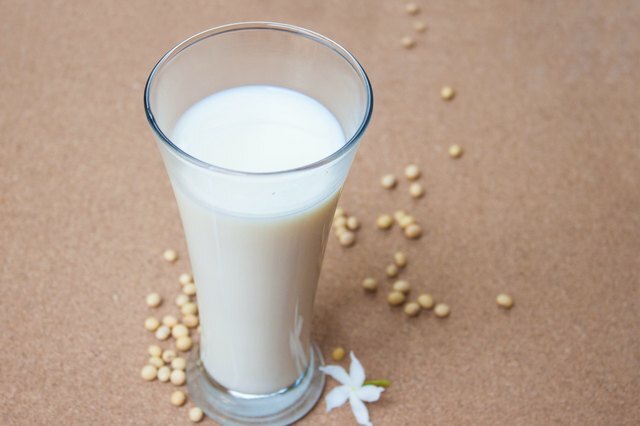 To heat soy milk -- without curdling it -- take a page from the food industry's playbook and add calcium lactate or soy lecithin to stabilize it first. Lactose-free and all-natural, soy lecithin and calcium lactate raise the curdling point of soy milk so you can use it like regular milk. Add the soy milk to a mixing bowl. Add 1/2 teaspoon of soy lecithin or calcium lactate for every 1 cup of soy milk. 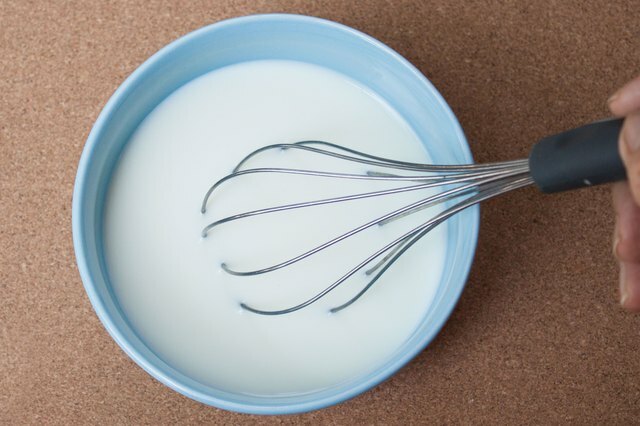 Whisk the soy milk for several minutes to incorporate the powder. You can also mix using an immersion blender until the soy milk foams. 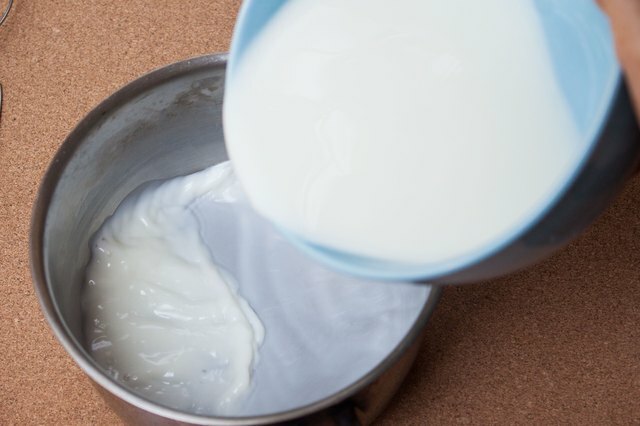 Transfer the soy milk to a heavy-bottomed saucepan and set it on the stove over low heat. 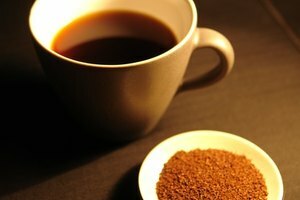 You can heat the soy milk up to 170 F, but you only need it about 150 F if you're adding it to coffee or tea. You can buy soy lecithin and calcium lactate in health food stores and many supermarkets. 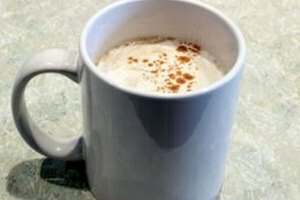 Don't try to heat soy milk in a microwave because it won't heat evenly and will likely curdle, even if you add something to stabilize it.